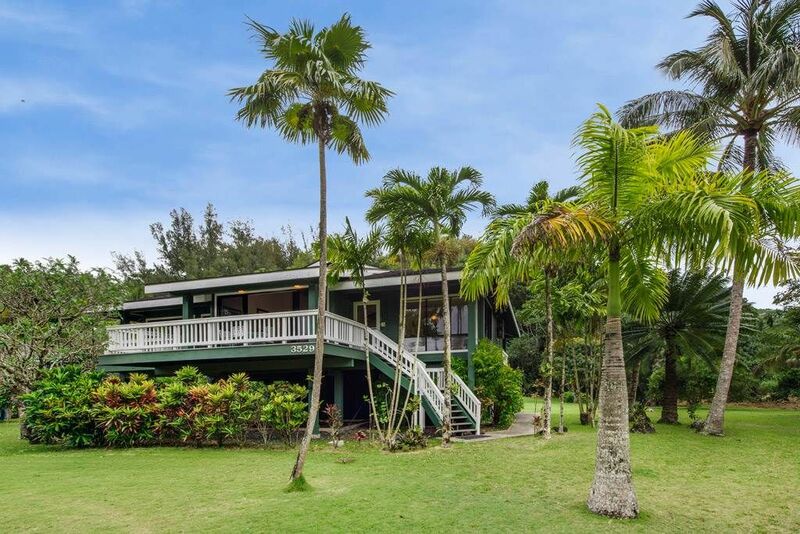 Bienvenue à Puanani, une belle maison de trois chambres située sur la majestueuse côte nord de Kauai. Cette grande maison dispose de trois chambres privées, trois salles de bains, deux salons, une grande terrasse autour avec barbecue, douche extérieure, une vue magnifique sur les montagnes et à seulement 1 minute à pied de la plage d'Anini. Il y a un lit king dans la chambre principale et un lit queen dans chacune des deux autres chambres. Il y a aussi un canapé-lit dans l'une des salles de séjour. * 7 nuits minimum. Des séjours plus courts peuvent être autorisés si vous remplissez des dates vacantes entre deux réservations. S'il vous plaît nous contacter si vous cherchez à réserver un séjour de moins de 7 nuits. Un autre séjour minimum peut s'appliquer selon la saison. Comme avec la plupart des maisons sur Kauai, cette location de vacances n'est pas climatisée. We enjoyed a week here an Anini beach. Right across the street from great Stand Up Paddling. Close to trails to bike ride. House was bigger than we needed. 6 could easily enjoy this place. We liked the lawn for frisbee. Kitchen has what you need. Lanai on both sides is great for morning and evening. Aloha Julie, and mahalo nui loa for your review. we're glad you enjoyed the home, and we hope you'll visit again. We enjoyed our stay at Kauai! The house was spacious and perfect for our visit. Everyone was very pleased with the house. Mahalo nui loa, Teresa! We're glad you enjoyed staying at our home. We hope you'll visit our beautiful island again. We offer a 10% discount to repeat guests as an additional incentive. Excellent all around experience. Awesome location across the street from the beach, and the home had everything we could hope for. I only wish we could have stayed longer. Aloha Patrick, and mahalo nui loa for your comments. You might not have been able to stay as long as you wanted, but you may visit again! We offer a 10% discount to repeat guests, and we'd love the opportunity to host you again. I really liked this place! It was very clean and was well cared for. Close to the beach, right across from the path to a quiet beach area on Anini Beach. The Management was very easy to work with. The lay out and amenities were as stated. The hot water ran out too quickly, it was hard to all take a shower after the beach and get hot water. A/C would be nice since we were instructed to keep doors and windows locked at night and when we where out and because there are many roosters running around that will wake you up in the morning. Aloha Regan, and mahalo for your review! We're very happy that you enjoyed the house, its proximity to 'Anini Beach, and its amenities. We actually encourage guests to open their windows at night to enjoy the cool breezes, but they should be locked when you leave the premises. We offer repeat guests a 10% discount, and we hope you'll visit us again!